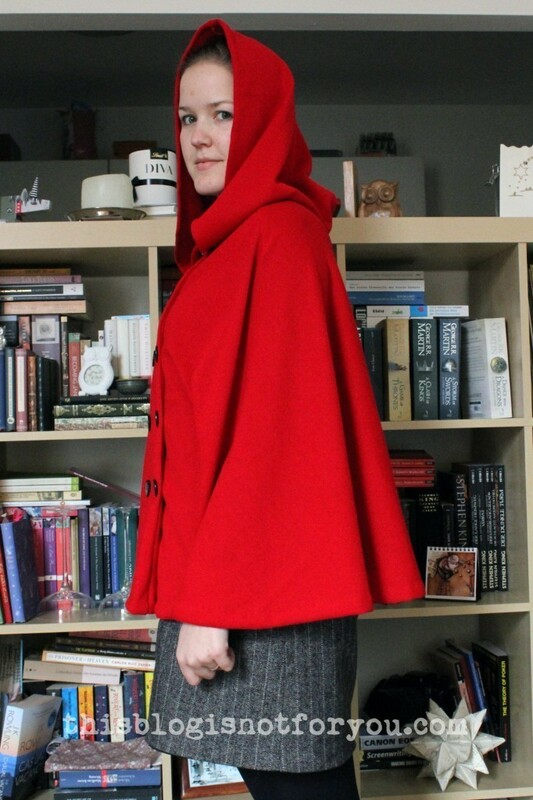 Once upon a time…I made a red hooded cape. Ooops. How did that happen? 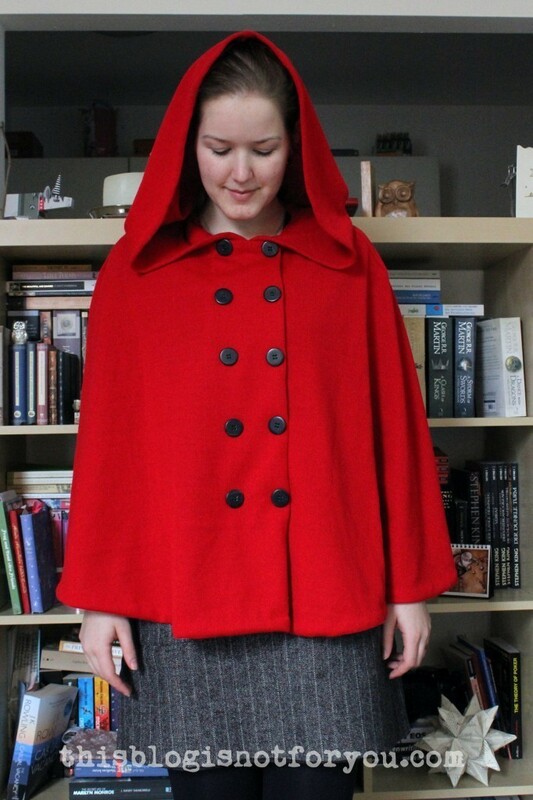 Does she know this looks a bit…a lot...like a fairytale costume? 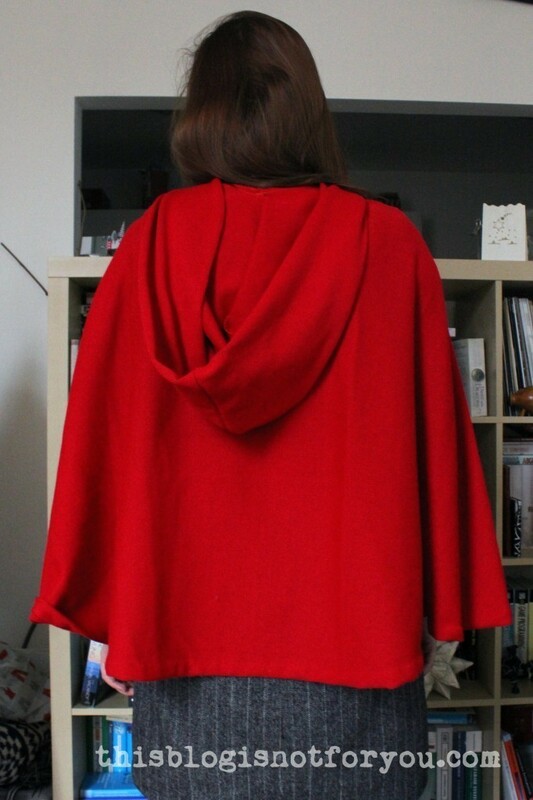 Well, I’ve been wanting to sew a cape for ages (A proper cape, though. One you wear instead of a coat). But I knew I wouldn’t be able to finish it this season. And I’m Stash Dieting, as you know. 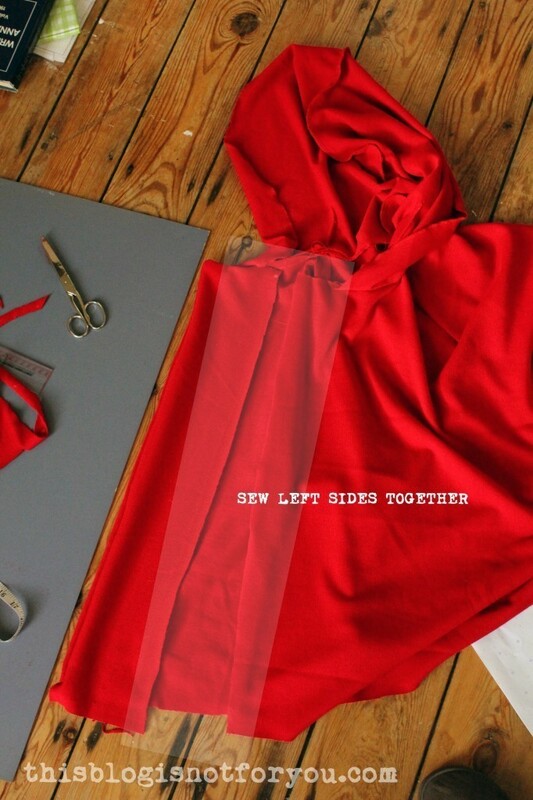 No, no magic happened between making these sketches and the finished garment. What actually happend was hours of research and drafting. If there was some magic involved, then it came from this book, which is awesome btw. 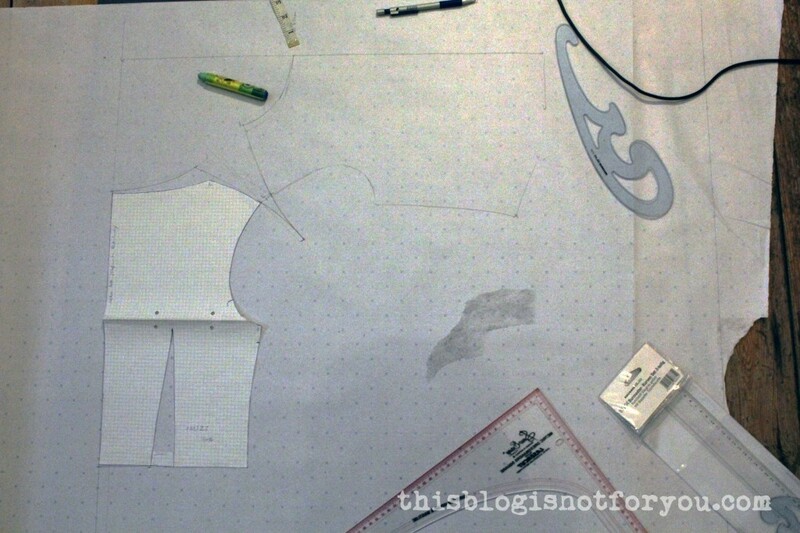 Drafting the cape, based on a standard Burda bodice pattern. 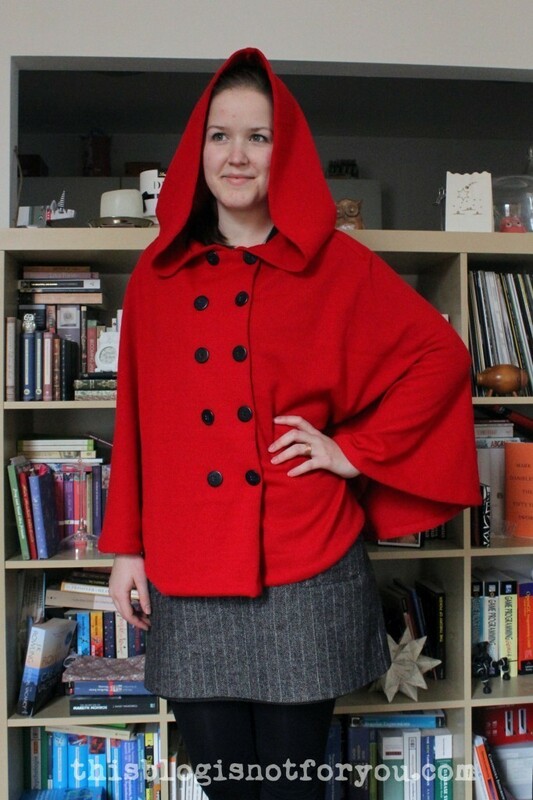 Drafted hood pattern – really no magic involved. Just a lot of measuring, drawing and patience. 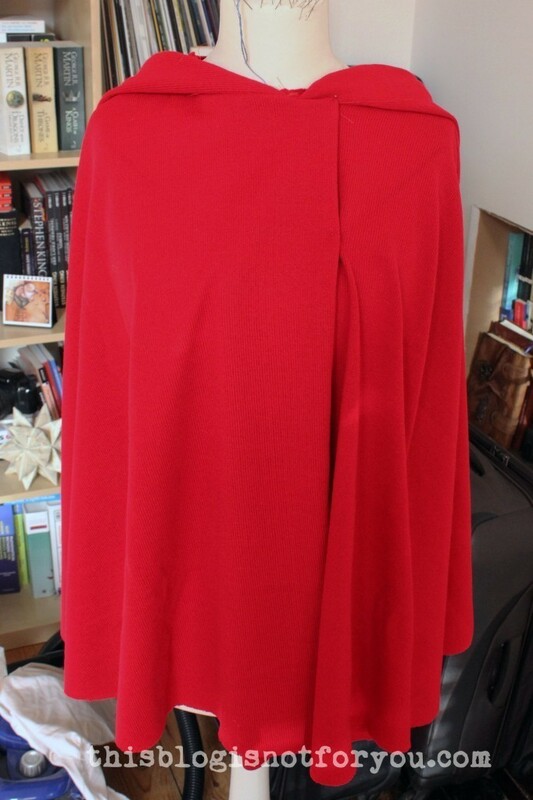 I was afraid that my 2m of knit fabric wouldn’t be enough, but in the end I even had some left. Whoop, whoop! Patience, young padawan. It will (hopefully) make sense in a minute. 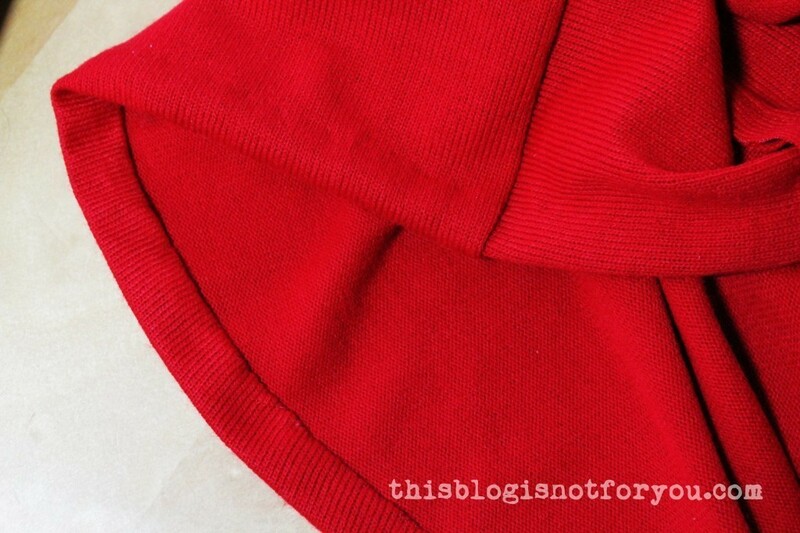 I folded it over, so both center front parts overlap and the corners of the hood meet at the center. 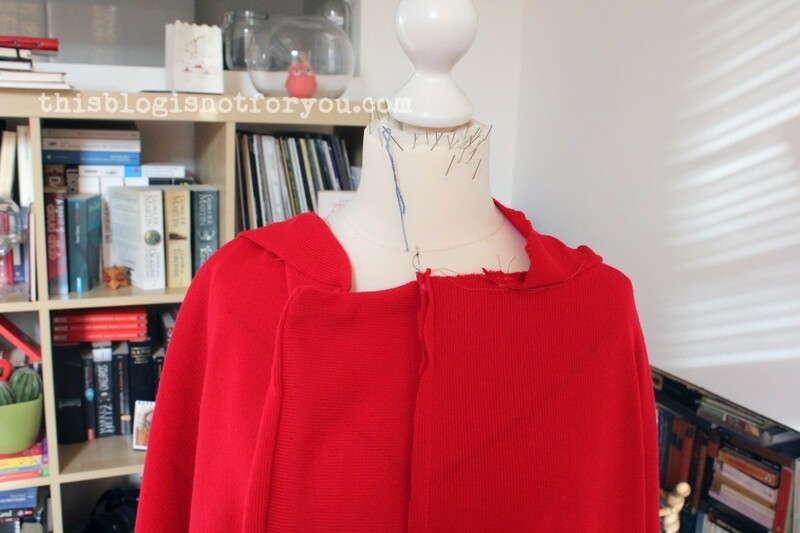 I decided to skip making real buttonholes (after making sure I could fit the cape over my head) and sewed on 10 buttons which also secure the flap and help it stay in place. 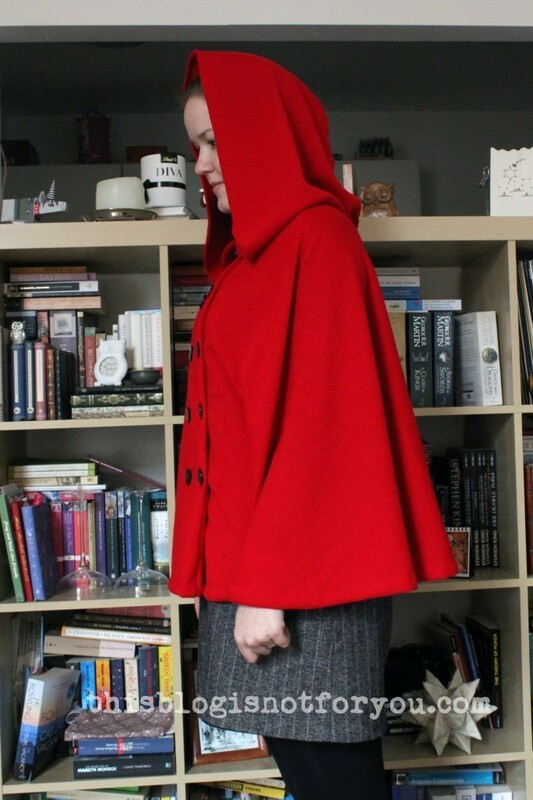 I spent most of my sewing-time hemming the cape and hood by hand. Yes, it’s masochistic, but it looks so much better! I’m really happy with this make, especially since I’m quite proud that the final result looks so much like what I had in mind. 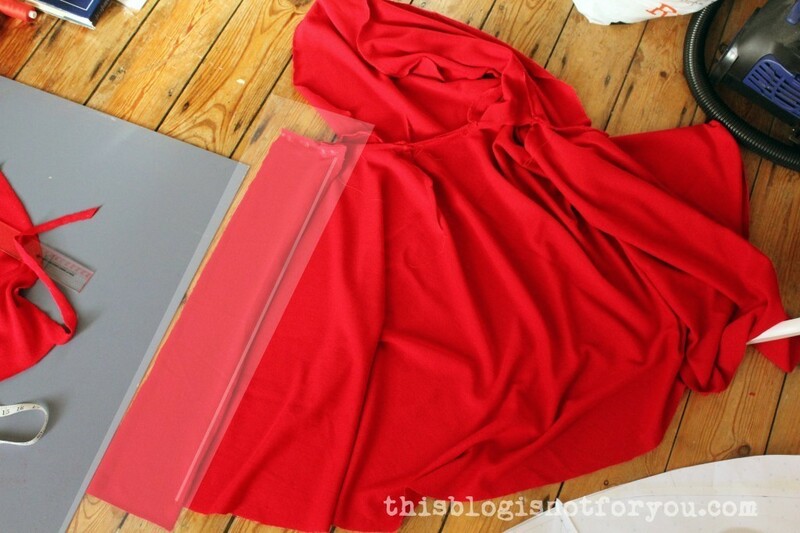 Although the drafting process was quite tricky and took most of the time, the sewing was super quick. 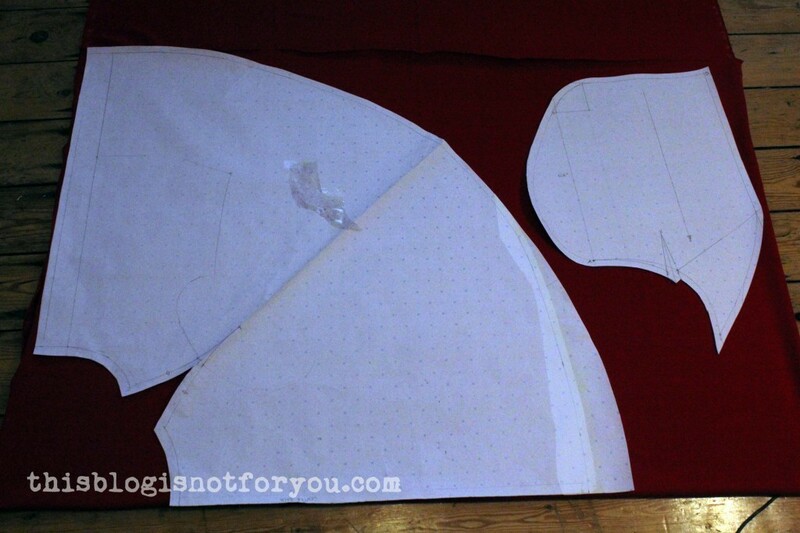 A handful of straight seams and a few darts. Super easy! Should I ever be bored and have loads of time left (haha! ), I might even manage to upload the pattern for you guys. Let me know what you think! 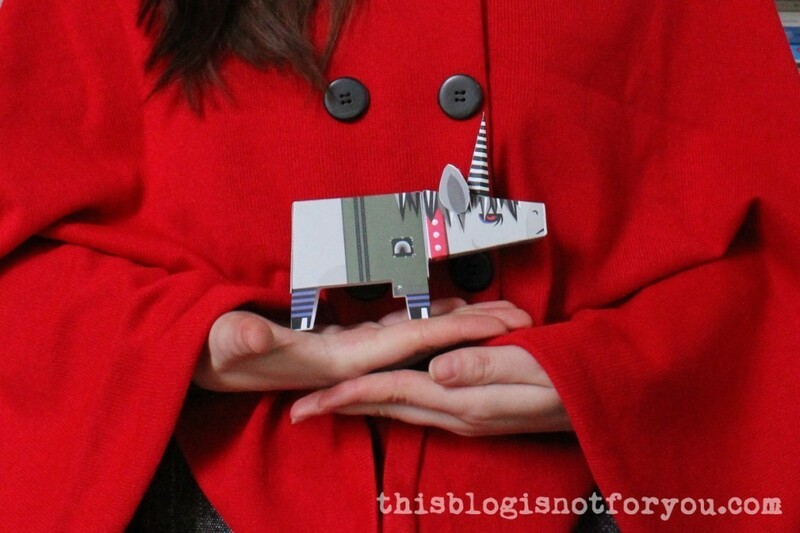 In the meantime, may the unicorn be with you! Peace out. 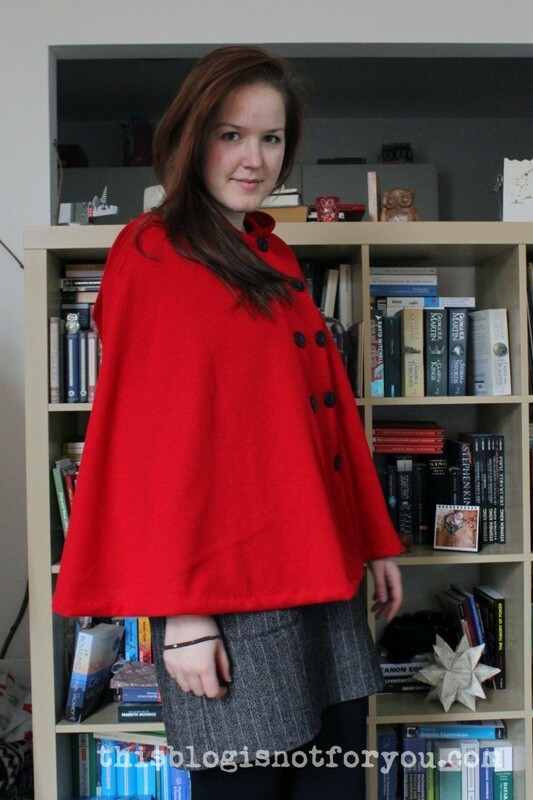 The cape looks so cute on you! And I am impressed that you drafted it yourself! 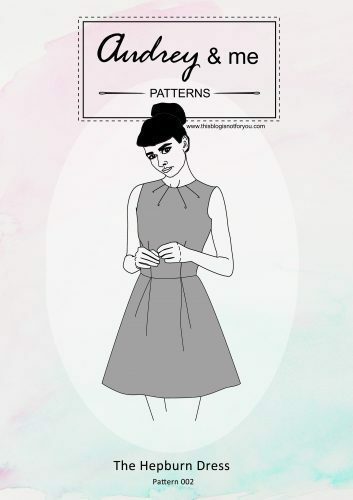 Maybe I should take a lesson with you about pattern drafting! Also thumbs up for using a fabric from your stash!!! 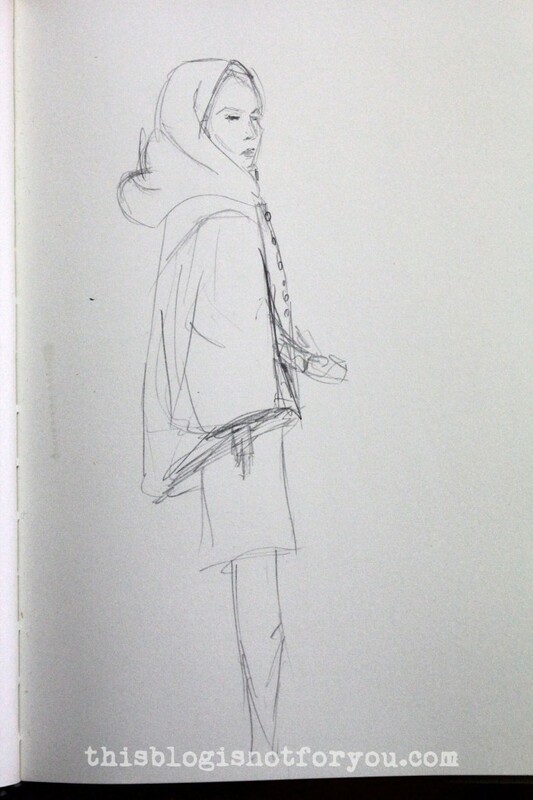 Okay, now that that’s out of the way, I LOVE your cape and really enjoy the fashion sketches. 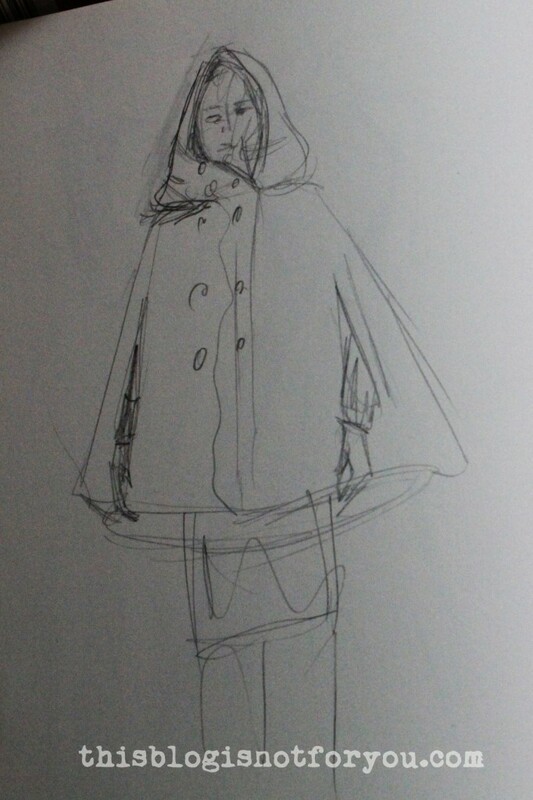 I love sketching womenswear too:) I especially like the oversized hood. 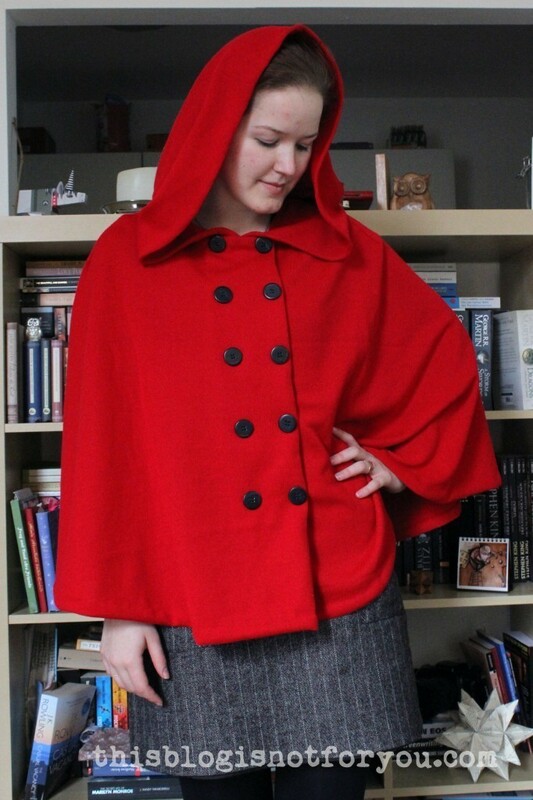 And yup, totally wearable. P.S I believe you if you say you are a hoarder…but fabric in the stash for one year does not qualify as hoarding. At least in my book. So you are good! Thanks Amy! Haha, no really. I am a hoarder. My stash is so big it’s spreading over three rooms. I just ordered the paper (150m/38GBP) two weeks ago. 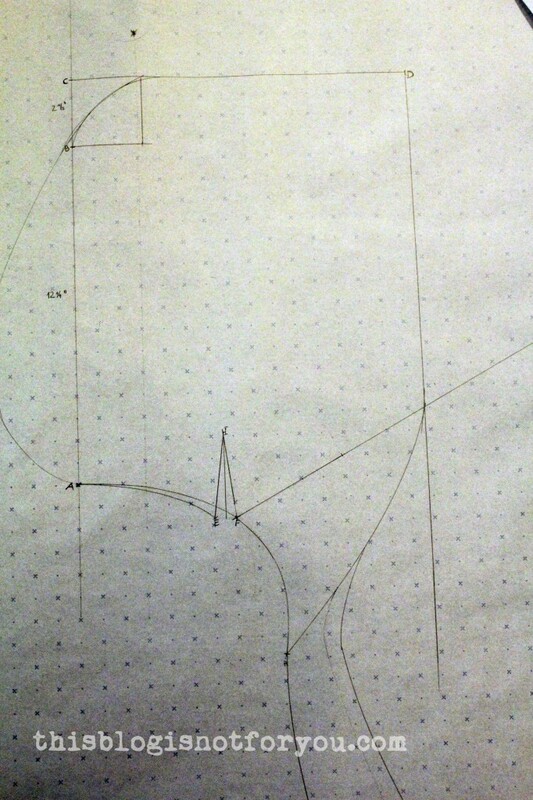 I noticed that I’m more and more into drafting and it also great for tracing patterns. I love it! There are several retailers here in the UK. I ordered mine over Amazon.co.uk, retailer was http://www.homecrafts.co.uk. But I would be surprised if you couldn’t get it for an even better price in the US! A – May- Zing! So lovely I don’t know what else to say. 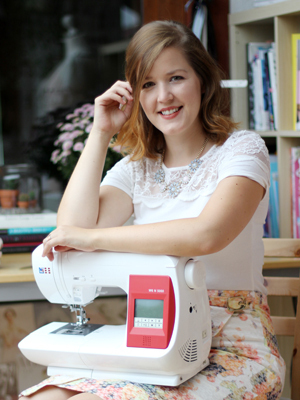 You made you own pattern, I am sooooo impressed. Lovely lovely lovely. 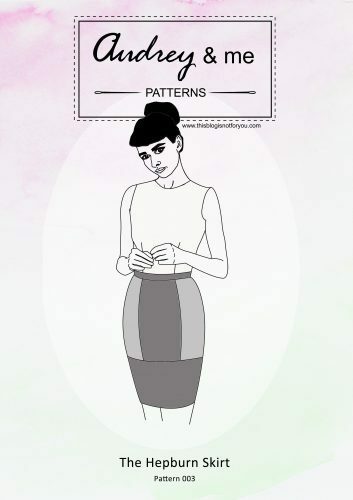 The fact that you drafted this pattern is so impressive! The finished product is beautiful, and it’s cool that it turned out the way you wanted.